After getting the good news, we decided that it was time for some R&R downtown. It was already getting dark by the time we left the hotel and the light was perfect. 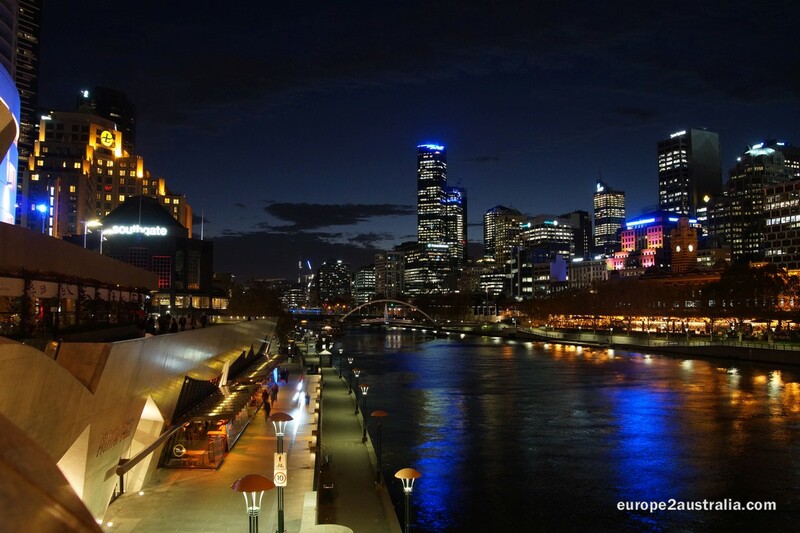 We could not help ourselves but stop on the bridge over the Yarra River and take a few pictures. 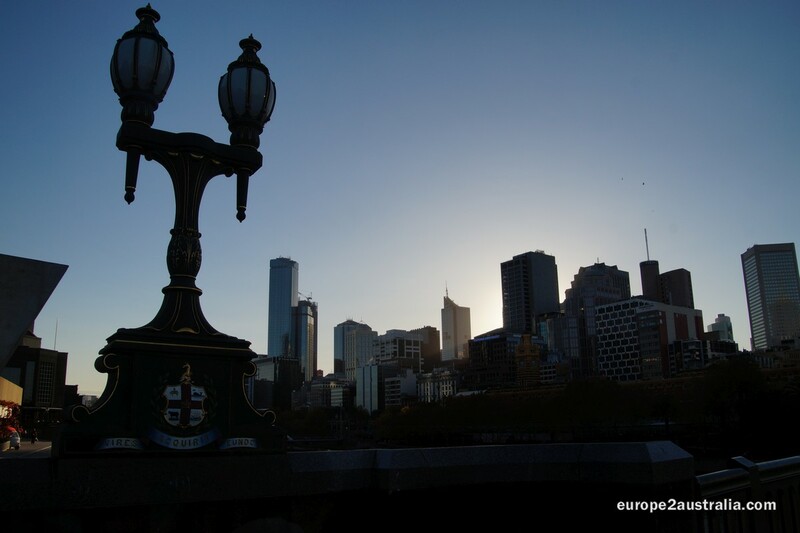 The sun sinking behind the Melbourne skyline gives some spectacular effects. …us and about a million other tourists. But we had a banking appointment to keep, so we could not linger there all too long. It was fully dark before we got out of there and we were both hungry. 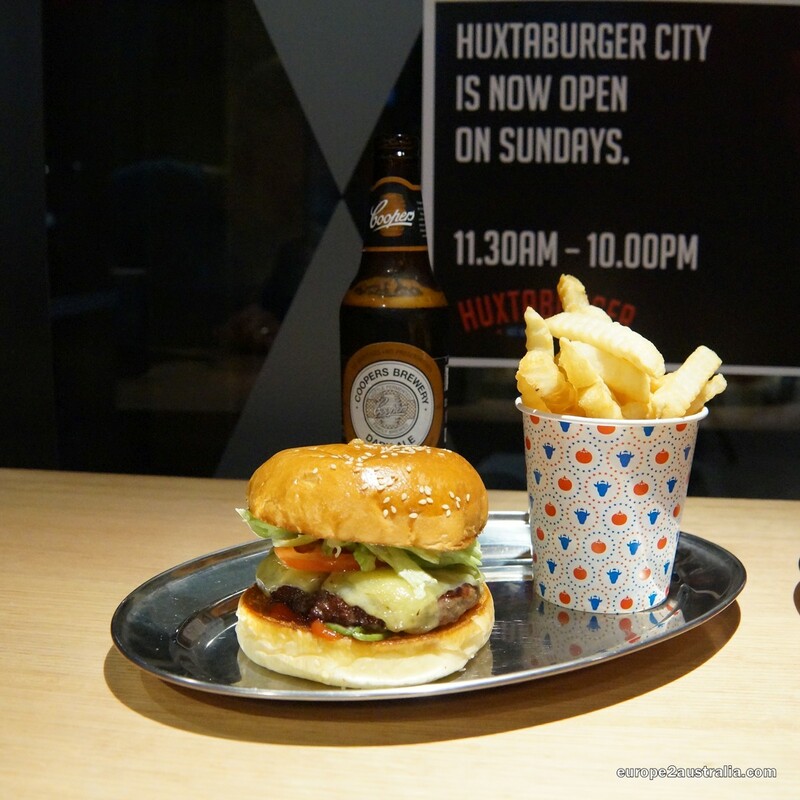 So we headed for a burger place around the corner, which Google recommended: Huxtaburger. Quite tasty stuff, and during happy hour (4 – 6pm) you get a Beer for 2 Bucks. This beats Macca’s any day. 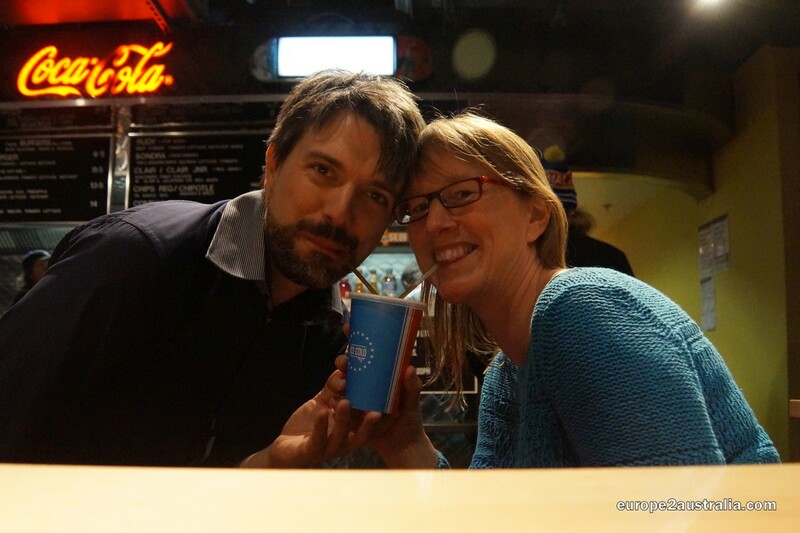 And the drinks are to share. With full bellies we made our way back to the hotel. And again, we had to play tourist. This city offers just way too many good photo opportunities. 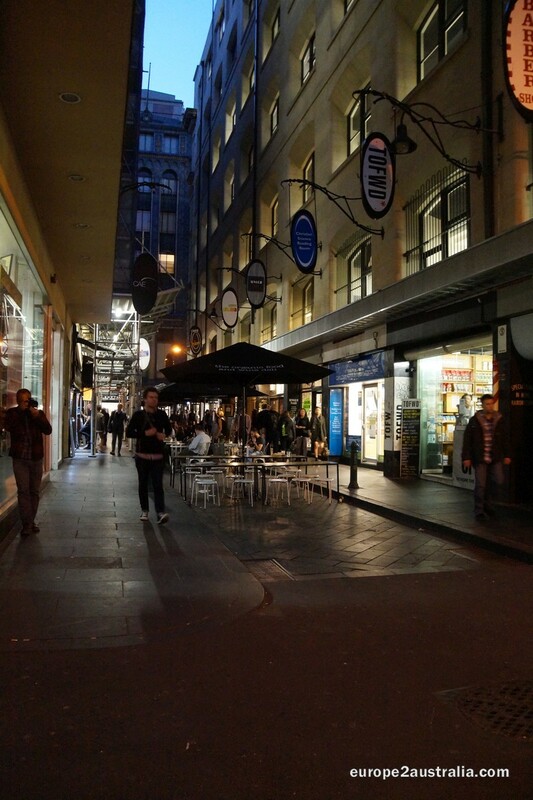 The streets of Melbourne are busy with people heading home or people going out to eat. 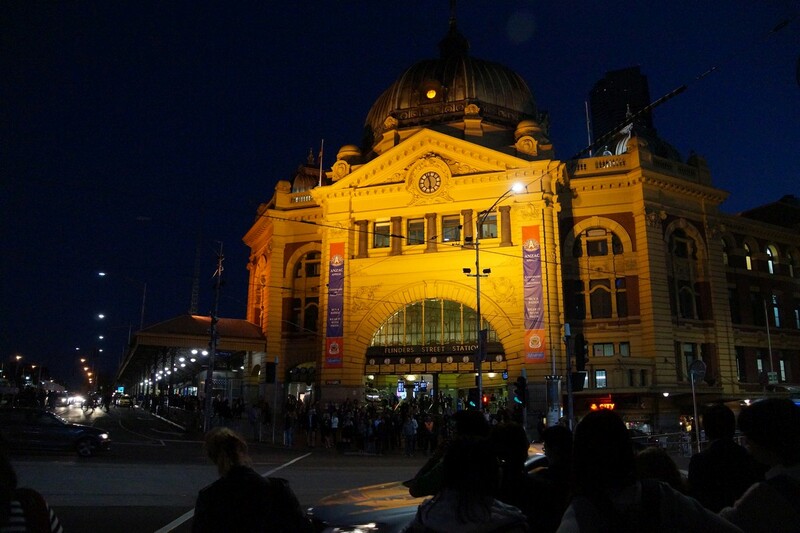 It’s especially busy around Flinder Street Station. 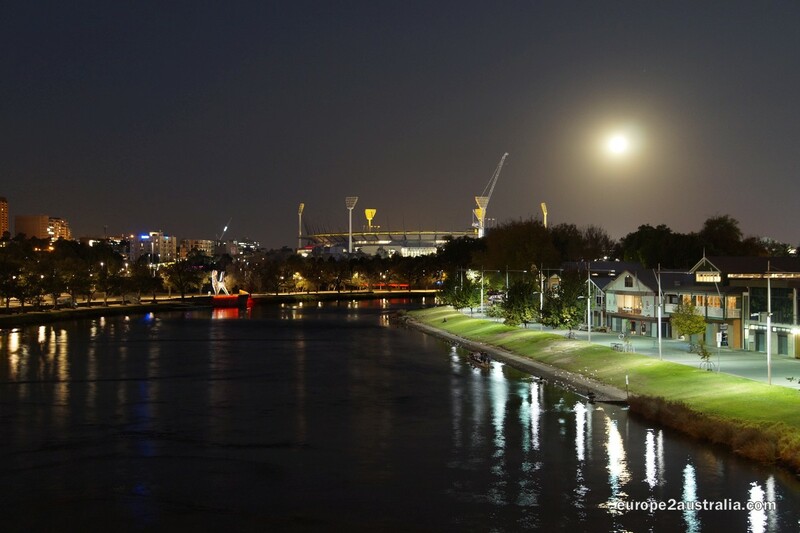 Night over the Yarra River – and the city lights up. The other side of the river has less skyline, but more moon. And cricket / footy stadium. Kan me voorstellen dat je hier de toerist moet uithangen… prachtig!